It is a tried and tested technique: fomenting a culture of fear of ceaseless war or terrorism, in order to justify arbitrary and authoritarian incursions on civil liberties back at home. We've read about it in George Orwell's 1984, we've heard about it being practised by oppressive regimes such as North Korea, and now we're witnessing it first-hand, in our own supposed liberal democracies including the United States, the United Kingdom and now Australia. 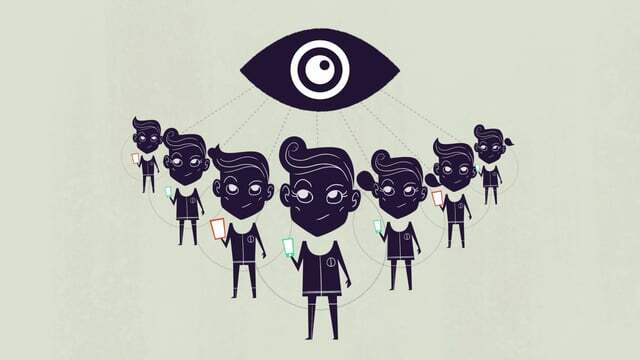 The latest shadow over the civil liberties of Australians is a yet-unnamed mandatory data retention bill that will be introduced into the federal parliament during the week of 27 October. Under the flimsy pretext that this measure is urgently needed to fight terrorism (though actually its scope will be far broader), the bill, if passed, will require Australian Internet providers to scoop up highly personal information about their customers as they use the Internet, and to store it for two years for law enforcement agencies to access. What you searched for before emailing your lawyer. Who you Skyped with afterwards. Who they have Skyped with. Where you were when chatting with your partner last night. The websites you visit during your lunchbreak. These are just a few examples of the kind of personal information that Australian government agencies will have at their fingertips under this Orwellian law. Australians have not taken this threat lying down. On 6 October a grassroots website called Stop the Spies was launched to expose this threat and to mobilize ordinary Internet users to stop it. The site contains a form that Australians can use to contact their elected representatives to demand that their privacy be respected, and social media tools to build a network of resistance. If you're not in Australia, perhaps you have Australian friends—if so, you can still help by spreading the word! We don't have long: there are only three weeks left before the mandatory data retention bill enters parliament, and it we can't sway enough politicians to defeat it before then, it will be another blow for online privacy that takes Australia further down path towards becoming a repressive surveillance state. Tweet #stopthespies and #stopdataretention, and if you are Australian, visit Stop the Spies today to demand your representatives vote against this draconian bill. Stop The Spies from Stop The Spies on Vimeo.